Posted byAtul	 May 30, 2016 May 30, 2016 Leave a comment on Random Thoughts: On reading Bhagwad Gita. I finally finised reading Bhagwad Gita, a hindu holy book which is collection of over 700 verses. 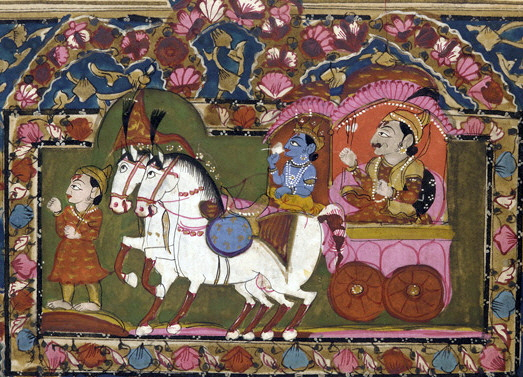 It’s a discourse between Krishna and Arjuna on the battlefield of Kurukshetra. I would strongly recommend almost everyone to read it, it has nothing to do with your race/religion. We all can relate to one or the other discourse provided, I made small list of sentences/lines which had great impact on me. Our expectation is root cause of unhappiness. We have to maintain equanimity in almost every aspect of life & treat it equally so neither be too happy or too sad. Karma is what defines our caste not what we got at birth. Our mind is an asset and if we let Maya/Illusion control it, we are slave to materialistic aspect of life. This will make us unhappy. Our gunas satva , rajas and tamas should not act on us & affect our happiness. Some task in our life are not done for a purpose to return outcome in our favor, we just have to do it.